Walk it, Run it, ROCK IT! Walk, run and wish it forward for local keiki facing life-threatening illnesses. WHAT: Our 4th Annual Jingle Rock Run is back! Come see the Honolulu City Lights through this family-friendly festive holiday walk. WHO: FUN FOR ALL! Walkers, joggers, runners, strollers, pets (especially reindeer!) invited. WHEN: Sunday, December 18, 2016. WHY: To spread hope, strength and joy through the power of a wish. All proceeds benefit Make-A-Wish Hawaii. 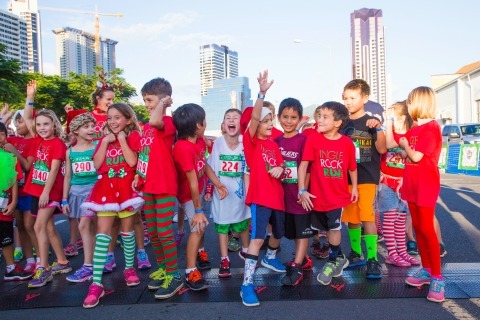 MORE: This signature holiday event features a Keiki Sprint for the young revelers, ages 12 and under! Festive attire is highly encouraged for participants of all ages. Discount with valid military ID, please bring with you to packet pick-up. (ages 4-12) Children can participate in both the sprint & 5K. Children ages 3 and under that do not wish to participate in the keiki sprint do not need to register. We invite everyone to join us, including your pets! If you wish to participate with a pet, you must enter in this division. Join a team, register as an individual, or create a team made up of your friends, family and colleagues. Can't make it to the event, but still want to help? Donate or create a fundraising page by registering as a Virtual Participant for free. 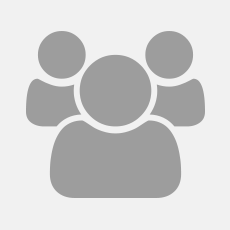 Personalize your own web page by logging and viewing your participant dashboard. Reach your fundraising goal by using the tools available through your participant dashboard and fundraising page. Finally...Rain or shine we will see you at the Hawaii State Capitol Building on December 18th! Race course is subject to change. Please consult your race packet for the final course layout. Awards with be given out to the Top 3 in Men and Women for the Elite Runner Category and all Keiki Sprint participants will receive finishers medals! Special prizes will also be given to the most festive costume, the largest team number, and the team who raises the most for Make-A-Wish! YOUR SUPPORT WILL TRANSFORM LIVES! Since 1982, Make-A-Wish® Hawaii has granted life-changing wishes to over 13,000 wish kids and their families. The Hawaii chapter is among the busiest in the nation as it not only grants wishes to keiki on all islands, it also coordinates and hosts the wishes of children from around the world who wish to see Hawaii. The Make-A-Wish Hawaii chapter aims to grant the wish of each and every Hawaii child with a life-threatening medical condition, and each year the power of a wish extends beyond the children served, into communities at large. With more than 600 volunteers and more than 200 business partners statewide, wishes bring people together and spread hope, strength and joy to all involved. Make-A-Wish® Hawaii grants the wishes of children with life-threatening medical conditions to enrich the human experience with hope, strength and joy. We believe that wishes are good medicine – allowing children fighting unimaginable battles to think beyond illness and start dreaming BIG. Since the founding of our chapter in 1982, Make-A-Wish Hawaii has granted more than 1,000 wishes to these keiki. Each year, 100 local children are newly diagnosed with a life threatening medical condition and our vision is to reach each and every one of them with the power of a wish. 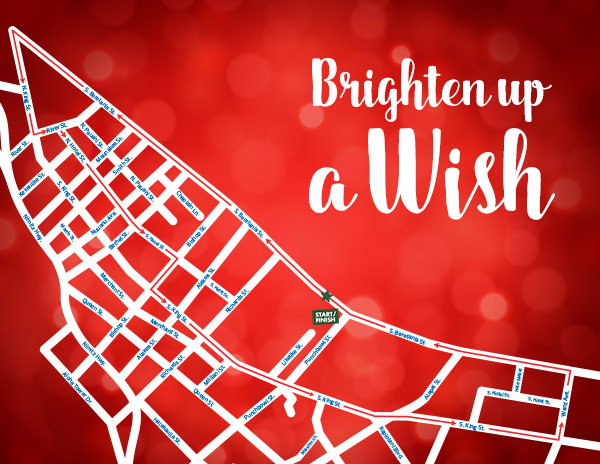 All of our fundraising efforts benefit local wish children and all proceeds remain right here in the State of Hawaii – thank you for helping make wishes come true!